Fellow MKs call Magal's candidacy a 'blessing' shortly after the news anchor announces his candidacy for Jewish Home. Several Jewish Home MKs have welcomed the candidacy of senior Walla! News editor and Sayeret Matkal veteran Yinon Magal for the 2015 elections Sunday, praising his values and outspoken resolve to stand up for the State of Israel. "I have known Yinon for over 30 years, as a soldier and an officer in Sayeret Matkal, and he has true Jewish and Zionist values," MK Moti Yogev stated Sunday. "I congratulate him for joining Jewish Home and wish him well." Deputy Minister of Education, Avi Wortzman (Jewish Home) added that Magal's candidacy is a "great blessing." "Jewish Home is a home for everyone, which incorporates the best men and women in Zionism," Wortzman added. "Yinon joins to lead a party which is not ashamed to love the Land of Israel, the people of Israel, and the State of Israel." Pensioners' Minister Uri Orbach (Jewish Home) testified to Magal's loyalty to the State. 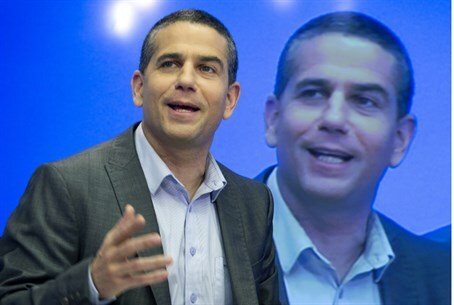 "Yinon Magal is a great man, a good friend, who is true to tradition and to Israel," Orbach stated. "He will continue to support Jewish Home in other sectors, and the former journalist will help us stand up to the Left and bring more top officials." Former Yesha Council leader and Jewish Home candidate Dani Dayan, added that "Yinon is an excellent man and a professional journalist who succeeded in every role he has undertaken." Yinon Magal, who has served in the prestigious Sayeret Matkal unit and under several major Israeli newspapers, announced his candidacy in a viral video released Sunday, whereby he said he "is not ashamed to love the Land of Israel, the people of Israel and the Torah of Israel" and that he supports Religious Zionist causes.